MTL Full-Rotary Letterpress for Labels – Miyakoshi America Inc. 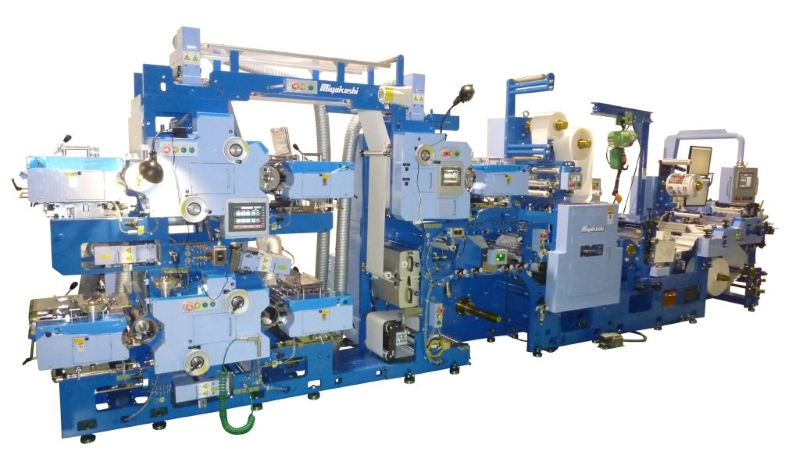 High-performance label press with state-of-the-art full-servo direct drive technology achieving remarkable speed, quality, and accuracy. Short web pass and shaft-less direct drive offer remarkable register stability and low material wastage. Cassette-employed printing unit enables external setups to shorten job-changeover times. Ideal combination of sophisticated ink train diagram and gearless direct drive system drastically reduces printing defects such as ghost image and gear streaks. Fastest-in-class running speed of 100m/min among stacked or CI presses. Numerical control of printing register contributes to reduced material waste. External setup of ink washing and ink warm-up is possible due to cassette-based printing units. Compatible with existing cylinders from other press manufacturers.